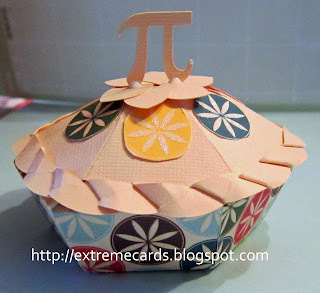 It's Pi Day! I was going to make a chicken pot pie, but it's meatless Friday. So I made a paper one instead. The free file is from Papercraft Post. The glue isn't quite dry yet on the pi!